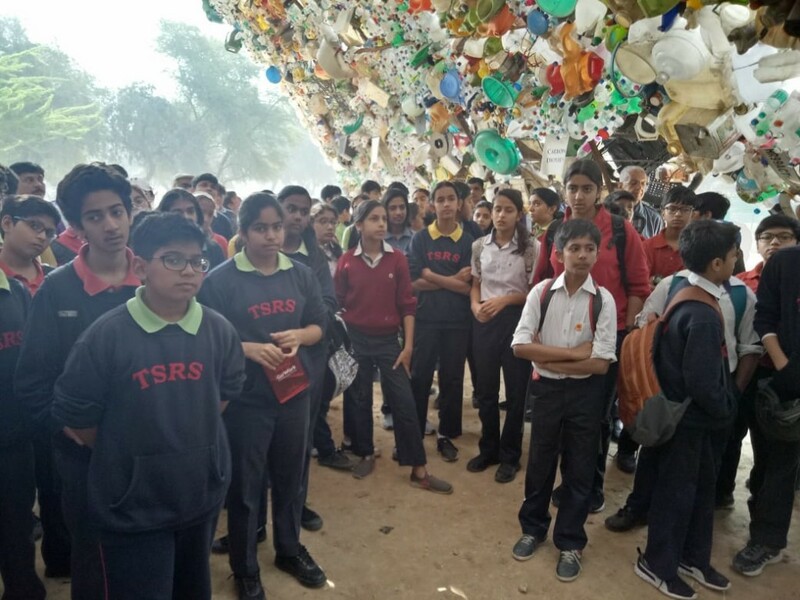 On 19th March, students of grade 7 visited a unique art installation titled “Where Does it Go”. 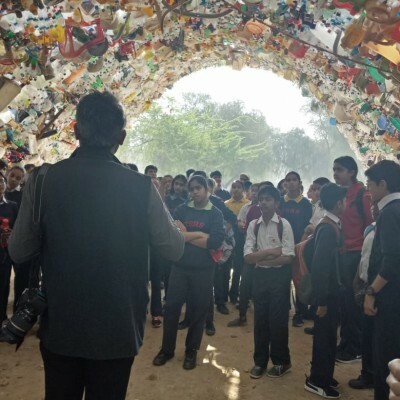 At 10:30 am students left and after a 15-minute walk through the lush and green Chakkarpur Bundh, we reached the outdoor exhibition grounds. On reaching the entry of the exhibition grounds we were greeted with a curious bridge over a crevice. 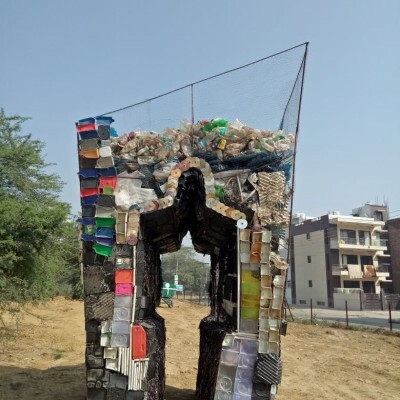 The bridge was made up of plastic wastes and metal scraps. We were then guided into a fascinating, colossal cave like structure constructed of all sorts of e-wastes and plastic wastes. 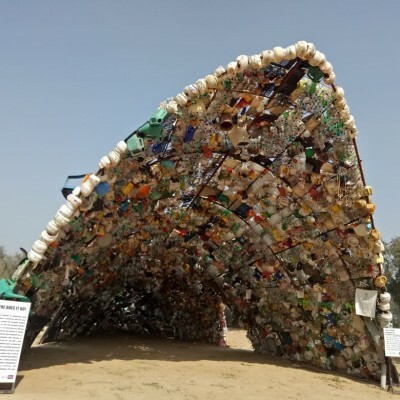 This installation was named ‘Toxic Chamber’ and it was the largest installation in a stunning and extraordinary collection of works made purely out of waste material. Each section was then assigned a guide. Our guide introduced and explained the meaning behind all the exhibits. My favourite installations were the robot, the plastic throne and the uneven pond. 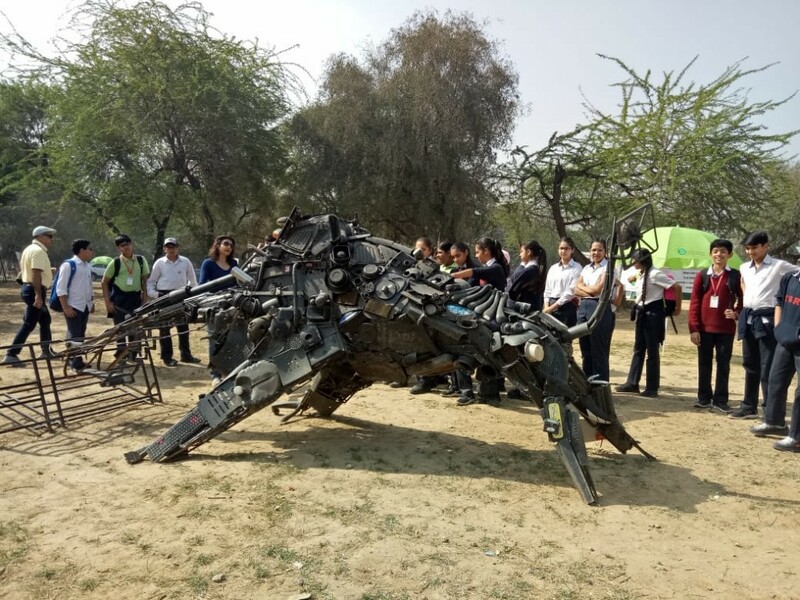 The Robot was a tall structure depicting a robot with a plastic detector. The robot itself was constructed from E-wastes. 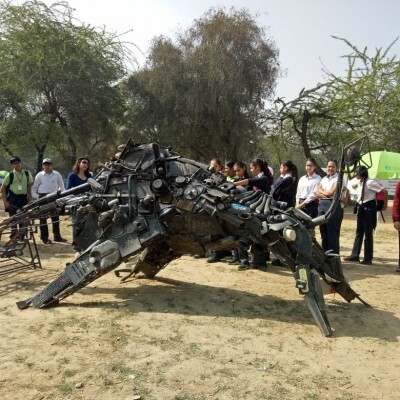 Its head was formed by two defunct TVs, its torso was made up of old computer parts such as keyboards, motherboards, circuit boards and computer cases. Its legs were made of desktop power supplies. We learnt that E-waste must be correctly recycled as it contains numerous dangerous substances. 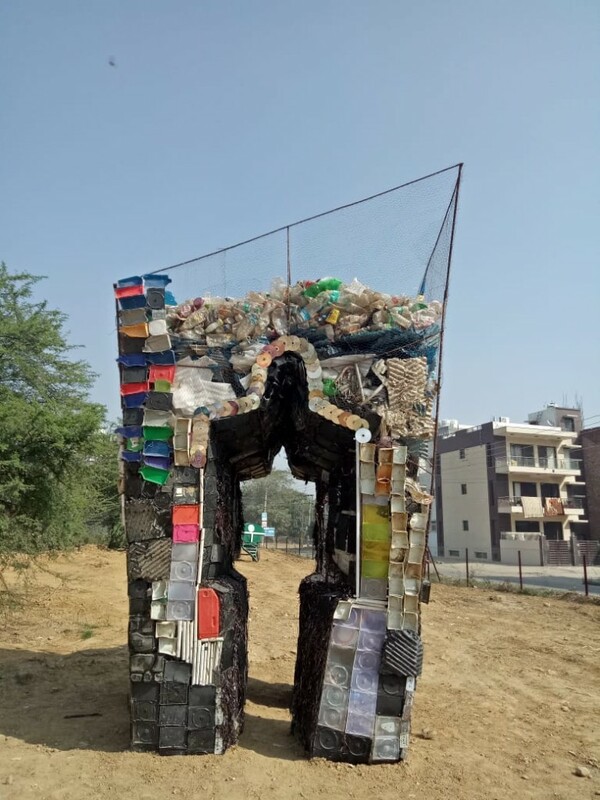 The plastic throne was a throne designed from plastics containers, sheets, caps and metal scraps. 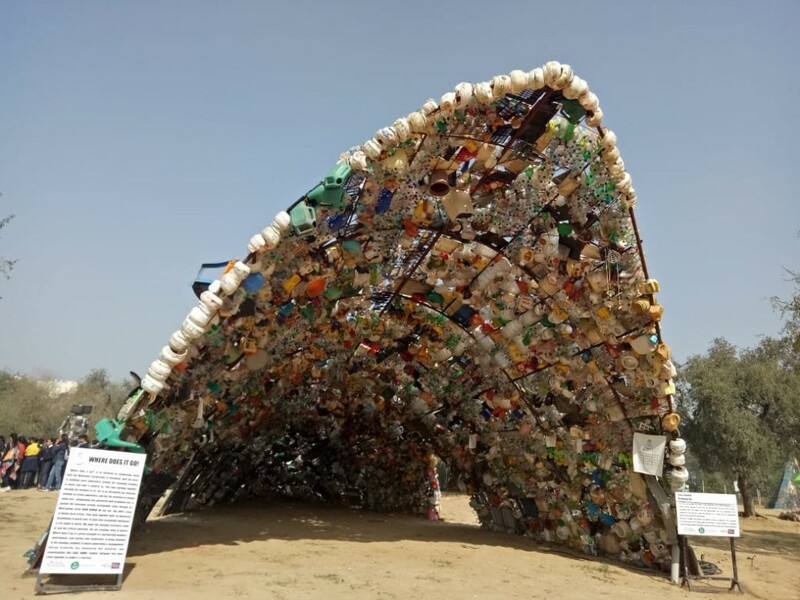 It represented how plastic has taken over our world and is destroying it. The pond was a circle of green bottles with uneven height and shape. 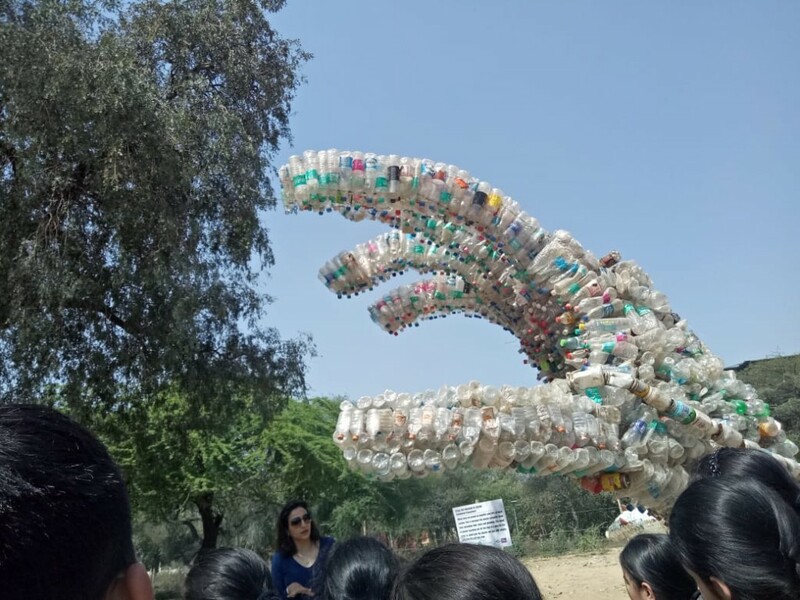 The unevenness of the structure told us how due to plastic pollution the number of lakes and ponds has been reduced and the green colour of the bottles represented their toxicity. 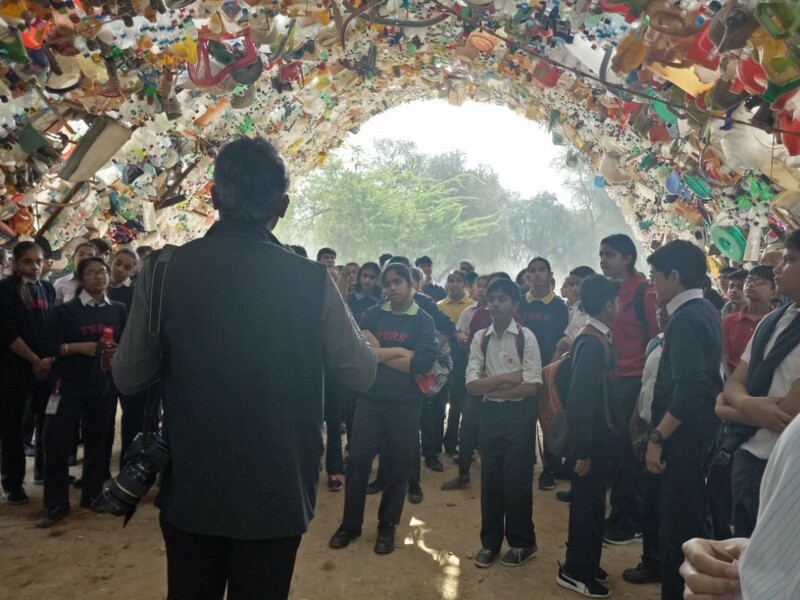 We saw many other installations too, some of which included a rat made up of CD disks, a large tent made from recycled construction waste, a gigantic hand constructed from plastic bottles which reached out to a tree, a dead fish which reflected the millions of deaths of marine life each year due to plastic wastes. 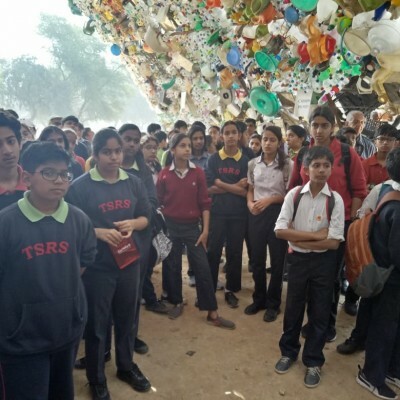 This exhibition was a striking and fascinating way to shed light on the harmful effects of plastic when disposed in our environment. 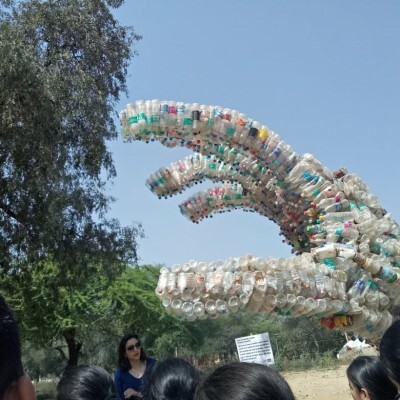 It was a very eye-opening experience and made us rethink about our plastic usage. At 11:45, we left for school and reached there by 12:00.